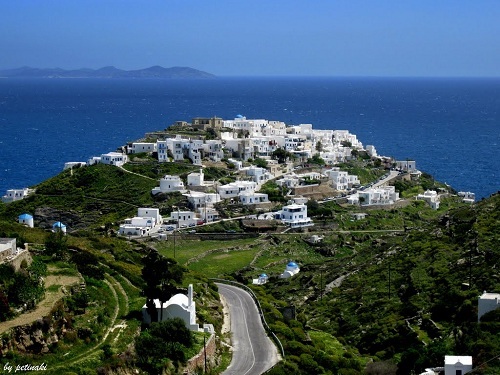 DESPITE or just possibly because of its relative obscurity (few people who don’t know Greece have ever heard of Sifnos), this is one of the most remarkable of the Greek islands. In the first place, it was rich. It's now long abandoned gold and silver mines had made the islanders the wealthiest in Greece by the 6th century B.C., Herodotus records. By the 1st century, B.C. Sifniot pottery had become the community’s most successful export. This has been through several cycles of boom and bust since then, but for much of the 200 years until the middle of this century, it was again one of the island’s chief claims to fame. Its heat-resistant qualities were particularly prized, hence the number of often eccentric home-made chimney pots you will see on the island. Many houses incorporate examples of local ceramics in their walls. And then there are its cooks. 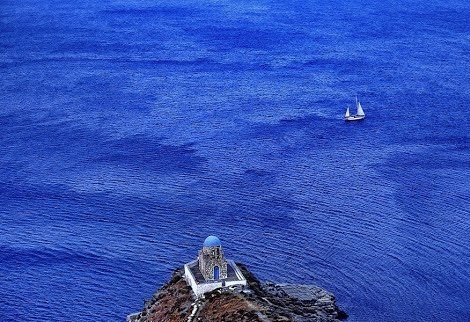 When I first asked a taxi driver in Athens to take me to the Sifnos boat his immediate reaction was: “Ah, you are going to meet the best cooks in Greece.’ ’ He was right. There ensued an elsewhere unremarkable, but in the islands quite improbable, succession of dishes, such as pork cooked in wine, mushrooms and herbs, a rabbit stew, freshly cooked beetroot, spicy vegetarian spaghettis, sloshing copper jugs of country Wine, and unforgettable breakfasts under the trees on the Kamares waterfront, with mouth-watering concoctions of yoghurt, fruit, nuts and honey, fresh fruit juice, eggs and crispy bacon, espresso coffee, what you will. All enough to make you want to sharply re-educate the next waiter on the next Greek island who brings rusks, luke-warm water, a sachet of instant coffee and some evaporated milk and calls it breakfast. But then it seems the Sifniots simply don’t want to be like everyone else. Instead of having a skala (Kamates) and a hora, they have three horas. Kastro on its dramatic clifftop perch was the capital from ancient times until the War of Independence when the mantle passed to Apollonia, a short downhill walk from its sibling in fact and dedication (to Apollo and Artemis respectively), the more affluent Anemones. Kastro owes its present form to the Venetians: a defensive ring of cramped houses in a nervous medieval huddle presenting only windows and dovecotes to the outer world the better to protect the inner town with its often vaulted alleys and less gloomy and more substantial dwellings, many of which have been whitewashed so often over the centuries that the accretions now seem softened.